Succotash Recipe – Just what is Succotash? 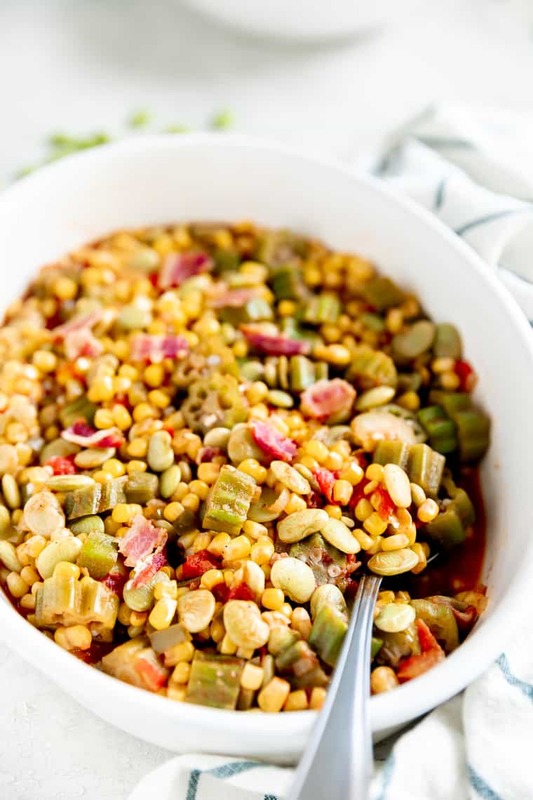 Learn how to make this Southern comfort food staple recipe filled with okra, diced tomatoes, corn and flavorful bacon and so much deliciousness. What is succotash? Where did it come from? Succotash, a savory combination of corn and beans, is a southern staple dish with a long history. Seventeenth century Native Americans introduced “msickquatash” to struggling colonial immigrants who then put their own spin on it. From the Northeast to the deepest of the South, there are hundreds of amazing variations of this Succotash recipe. From zucchini, bell peppers and green tomatoes to cranberry beans and sweet corn kernels, the possibilities are endless. 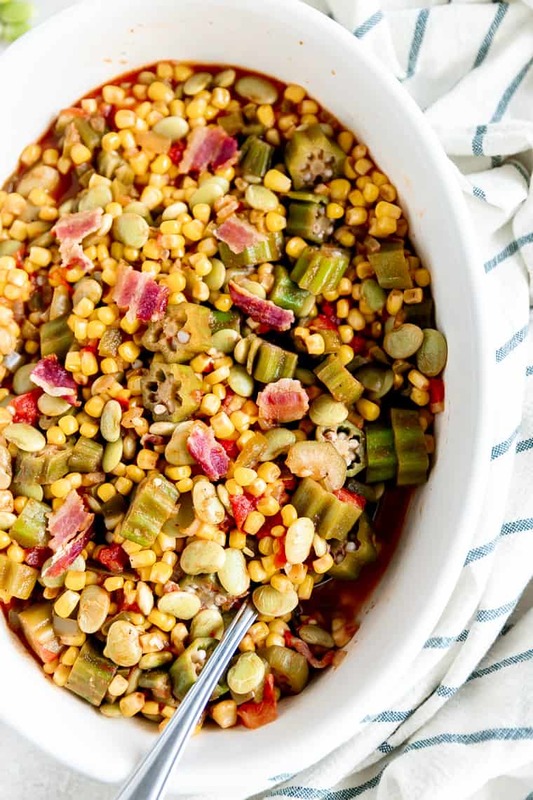 While its roots aren’t inherently Southern, Succotash can be found not only on most restaurant menus but on the kitchen tables of families all across the South. The additions of okra, diced tomatoes, fried onions and roasted corn add the flavors of the South that are both comforting and familiar. Succotash is a simple dish thats celebrated best during the garden season in the South; the beautiful colors and fresh flavors are just perfect. But that doesn’t mean this dish can’t be replicated in your home any time of the year! The most incredible part about succotash is its versatility; almost any ingredient can be added to create an individualistic dish! Have a favorite summer vegetable? An herb that you love the fragrance of? Throw it in and make it your own! 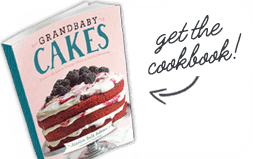 This particular recipe comes from the Sweetie Pie’s Cookbook. 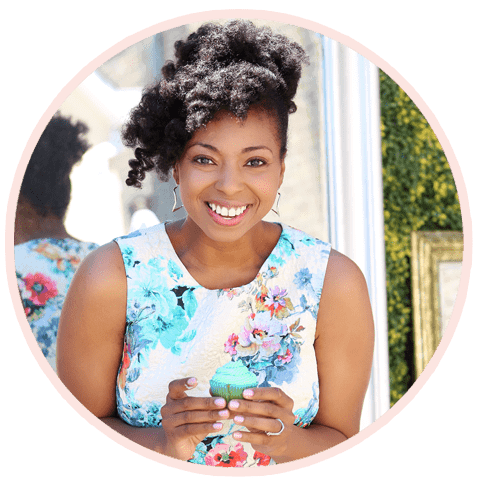 If you watch the OWN network, I am sure you are familiar with the matriarch and her incredible soul food restaurants. For this succotash, start your dish by rendering the fat of your choice: pork belly or bacon are preferred. Either one can add incredible flavor and texture to your dish. If you have any of my brown sugar baked bacon, save the fat and some of it for this as well for additional flavor notes. 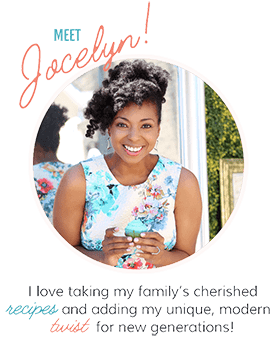 In this particular recipe, I love the wonderful flavor of bacon but you can omit this if you would like to make this recipe vegetarian or vegan. Also just use water instead of the stock. Once your fat has produced a sufficient amount of drippings, add your onions and peppers. Cook on medium-high for 2-3 minutes until tender to add more flavor. Next you’ll want to add your beans, corn, tomatoes, seasonings, herbs and any other special touches that will help make it your very own. Cook for about 5 minutes or until all the ingredients are tender and fragrant. Finally, add in butter! 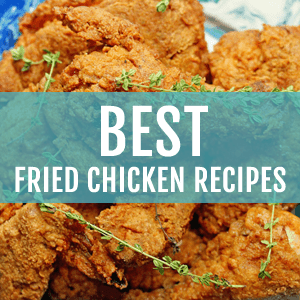 This will add the creaminess and richness that we all look for when grabbing our go-to southern comfort food. Honestly I would add butter to everything if I could. It makes everything so much better. Succotash can be enjoyed as a side dish or become the centerpiece to any meal. Spoon it over rice, throw a grilled catfish fillet over it or serve it in bowl with a side of hot-buttered Mexican cornbread. No matter the variation or presentation its a hearty and budget friendly dish that is sure to impress! If you love other summer corn recipes, check out my Mexican grilled corn, Mama’s Fried Corn recipe and this Shrimp and Corn Chowder recipe and these Stuffed Lettuce Rolls. 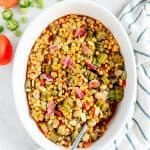 Succotash Recipe - Just what is Succotash? 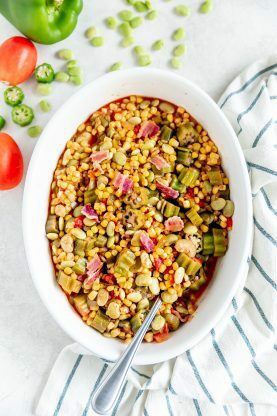 Learn how to make this Southern comfort food staple recipe filled with okra, diced tomatoes, corn and flavorful bacon and so much deliciousness. Heat a medium saucepan over medium heat, add the bacon pieces, and cook until crisp, 3 to 4 minutes, then remove them from the pan with a slotted spoon to a plate. Add the onion and bell pepper to the fat in the pan and cook until vegetables begin to soften, 1 to 2 minutes. Lower heat to medium low and stir in the lima beans, corn, tomato, sugar, salt and pepper. Add the tomato sauce and water, bring to the simmer, cover, and simmer for 15 minutes. Add the okra and simmer for 10 minutes more or until the okra is fork tender but not mushy. Remove from the heat, cover and allow to sit for 10 minutes before serving. Would I need to grill or roast the okra first to keep it from turning the dish slimy? Nope not for this recipe. But it does sound wonderful if you did try that! I’ve just made Succotash with frozen corn and Lima beans but your recipe sounds yummy. I will try it. This recipe looks different from others and even a very healthy option to try for a diet. 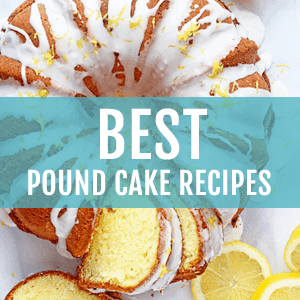 This is an easy and quick recipe which will take a few minutes in preparation. I love succotash! I love okra too. Hardly can find Lima beans, but I love them. I have never made my own succotash, now I have to give it a try, I need some.